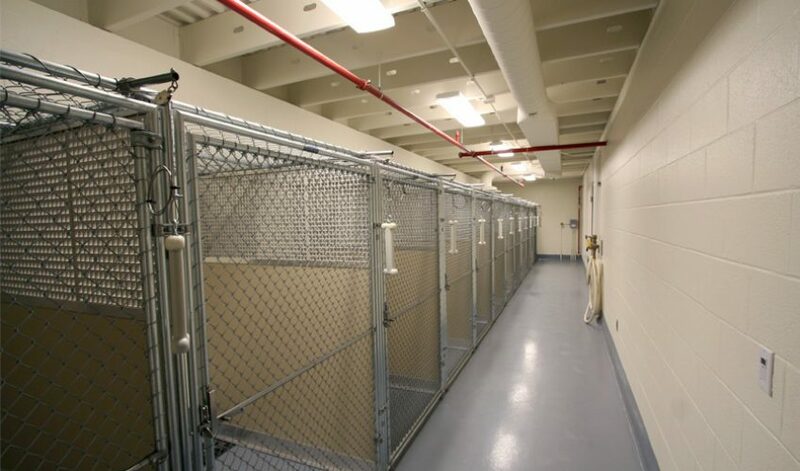 Whiting Animal Shelter – Vavrek Architects, Inc. 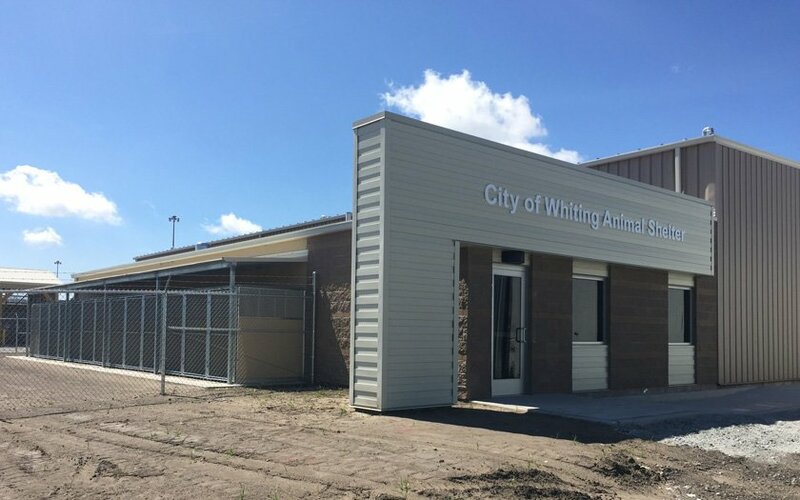 The new 2,171 square foot Whiting Animal Shelter is a state of the art no kill animal shelter. 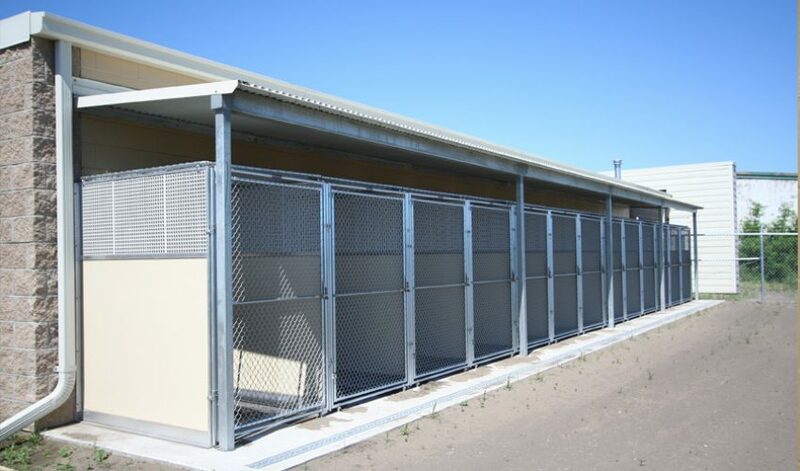 Designed for ease of maintenance, it contains 13 indoor/ outdoor dog kennels including one quarantine kennel. 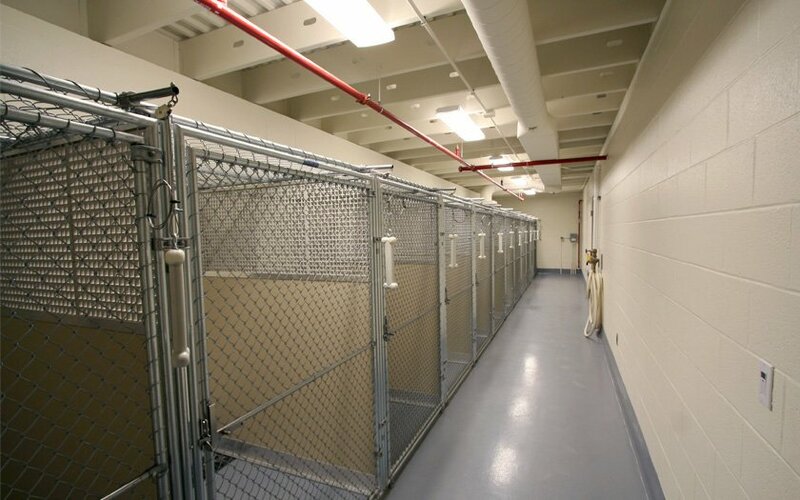 The entire kennel is built from concrete block with plastic wall panel dividers. Dogs are able to rest on radiant heated concrete floors and move back and forth via a pass thru between the outside and inside. Adjacent to the dog kennels is a fenced-in dog run for exercise and socialization. The facility also contains two areas for cats and an animal prep area that doubles as an area for veterinary examination and administration of medicine as well as animal grooming. The building is physically attached to the Whiting Public Works facility; however, it is designed as a stand-alone structure of masonry and steel. 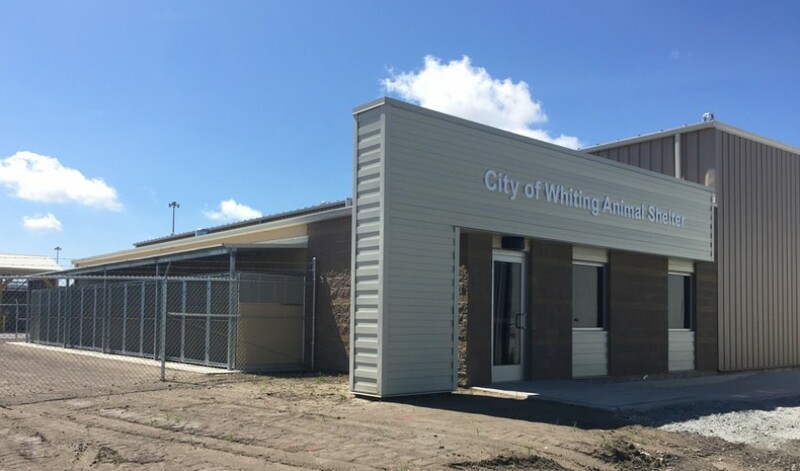 Like the Public Works facility, the front façade of the Whiting Animal Shelter has its own signature identity constructed from masonry and a steel clad entry element.